Monster introduces 'virtually indestructible' Jamz in-ear headphones | What Hi-Fi? Billed as representing 'unprecedented affordability', the new earphones will set you back £80 and £70 respectively, or £100 and £80 with Monster's ControlTalk in-line microphone. The earphones boast solid metal construction, making them 'virtually indestructible', alongside a scratch- and corrosion-resistant chrome finish. 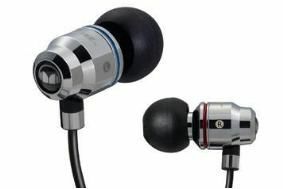 The Lil' Jamz headphones offer a lighter and more compact version of the Jamz, complete with a black chrome finish. Also in the box you'll find a carry case and a variety of different sized eartips. The new Jamz headphones are on sale now.